DOWNTOWN BROOKLYN – The team developing Brooklyn’s tallest building (for now) announced on Tuesday that the tower has topped out at 720 feet. The building will also offer a landscaped rooftop entertainment space and 9th floor outdoor terrace. Residents will have access to a health and wellness facility boasting a 65-foot indoor saltwater swimming pool; rock climbing wall; yoga, Pilates, and cycling studios; a squash/basketball court; and a spa complete with an infrared sauna, steam rooms, and hot tub. Designed by Kohn Pedersen Fox Architects, Brooklyn Point will offer studio to three-bedroom units with prices starting at $850,000 and going up to more than $3 million, according to StreetEasy. The building, which benefits from a 25-year tax abatement, is expected to be completed in 2020. 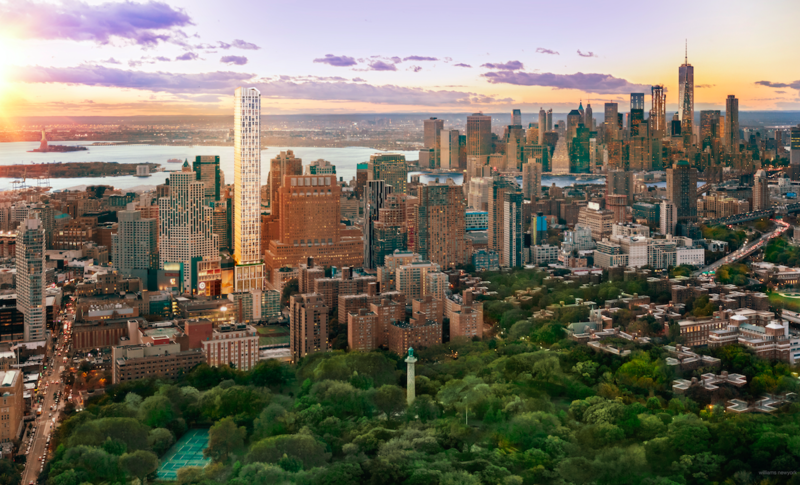 Brooklyn Point will hold the tallest building in Brooklyn title for a couple of years until the 1,066-foot 9 DeKalb is completed just a few blocks away. That project, being developed by JDS Development Group and designed by SHoP Architects, is expected to rise 73 stories adjacent to the landmarked Dime Savings Bank. 9 DeKalb will feature 500 residential units and ground-floor retail. The supertall is expected to be completed in 2021, according to New York YIMBY. 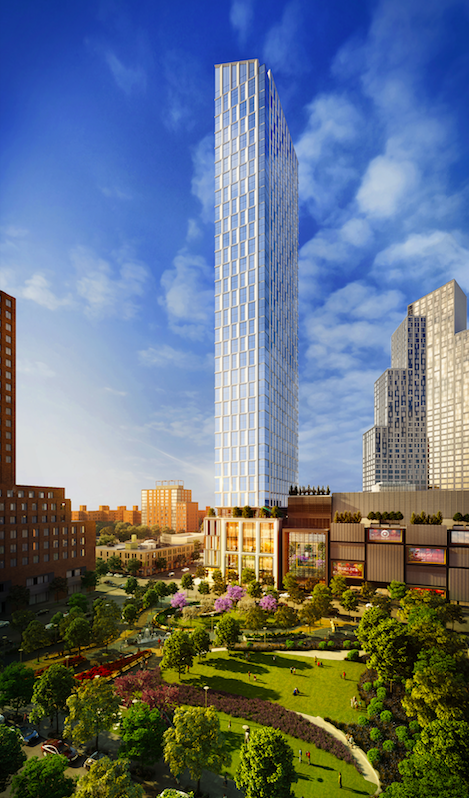 The taller of the two towers planned for Alloy’s 80 Flatbush will top out at 840 feet. The block-wide, mixed-use project will include 870 residential units (200 affordable), two schools, 15,000 square feet in cultural space, and 40,000 square feet in ground-floor commercial/retail space. 80 Flatbush is scheduled to be completed in 2025.